This is the quilt I wanted to finish over the weekend, but ignored in favor of apples. I feel like it’s taking forever, because it is. I think the original post about starting it is buried in the blog archives here, somewhere around 2010 (ish?). 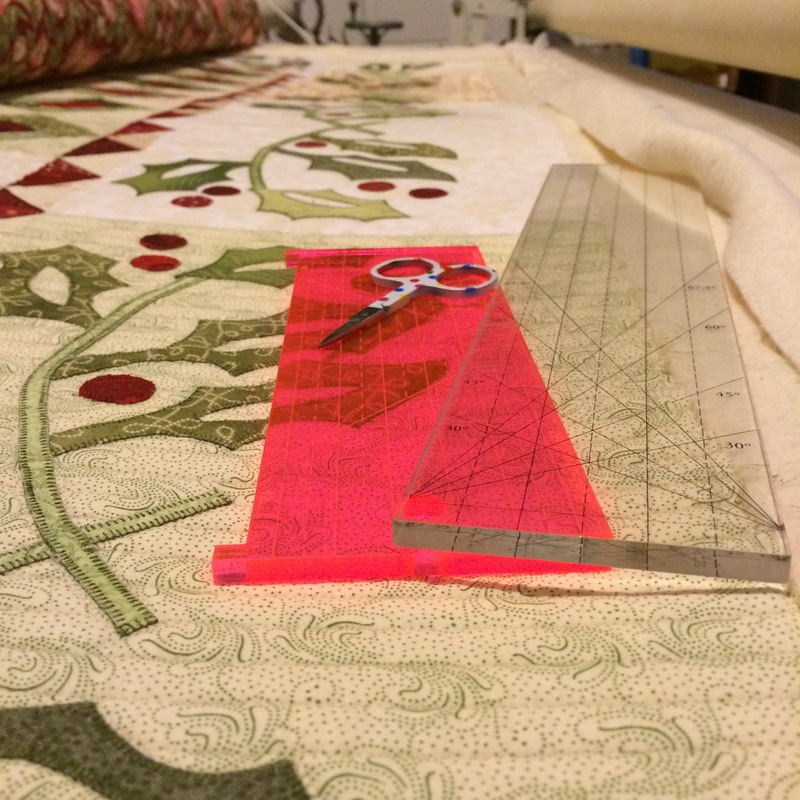 The machine quilting got started around the first of the year (2015). I foolishly decided that this straight line quilting would look awesome in the border, and, while that is a true statement, it’s also the bane of my existence. It doesn’t really take that long, but I have this mental block telling me that it does. Brains are weird. I really only have two more side border sections to do, plus a corner, but here I am, posting a stupid blog post about it, instead of turning the machine on and getting it done. I’m all about looking for sympathy, I guess. Just wait until I whine about doing the curved binding this thing is going to need after I cut the border into scallops. Suzanne, you have my deepest sympathy–but I can’t wait to see it done because this quilt is on my bucket list–rock on and whine all you want!